The Mail Center Blog UPS Dropoff Location, Fedex Dropoff Location, U.S. Postal Service Dropoff Location. Don’t run all over town. The Mail Center is a Dropoff location for all three of the major carriers. Just come on by and we will even tape it up for you. 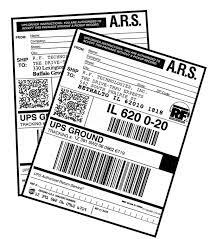 We take ARS labels from UPS, RPS labels from Fedex, and any number of prepaid parcel labels from the U.S. Postal Service. We also take prepaid air shipping documents from both UPS and Fedex. You can also pay to pack and ship packages through all three of these carriers. Come and see us and we will see if we can save you money by comparing prices of all three of the carriers, ground vs. air, saturday vs. weekday, guaranteed day and time deliveries. See our dropoff package section on the Main menu for all the various types of labels we will take.